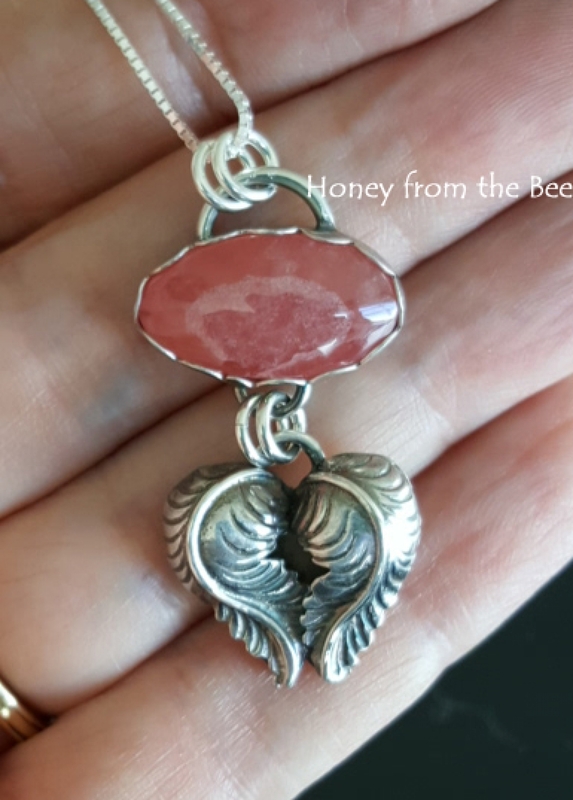 I call this gorgeous nature inspired Rhodochrosite and Sterling Silver heart pendant, Heart of the Matter. 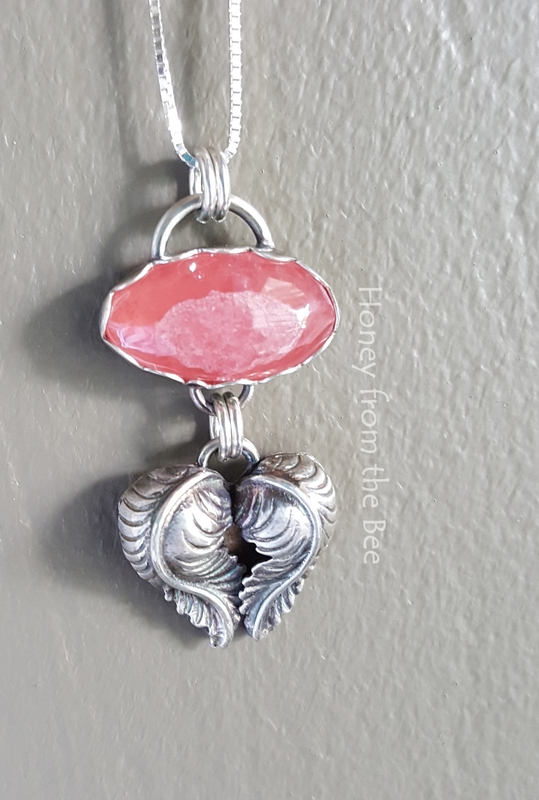 A pink and silver heart pendant for the romantic. I was inspired by something a friend said about the state of our natural world and that nothing else matters really except it. In the end I think that is so true. Where we live, drink, eat, and breathe needs our tender loving care more than it ever has in our lifetimes. On a whim I bought some gem quality Rhodochrosite from a vendor in Argentina. I had to test the vendor you see! What I received was the most beautiful I've seen. The photo with the taupe painted wall is the closest (at least on my monitor) to what the stone really looks like. It was a difficult one to photograph. 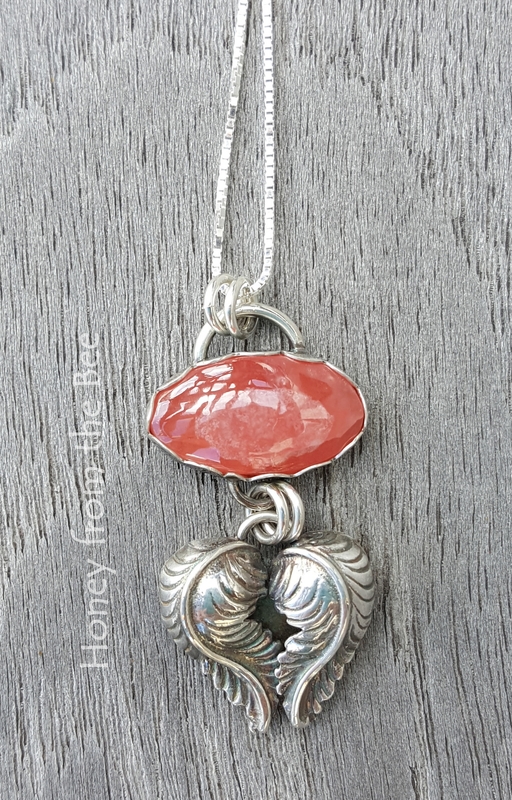 I created a heart pendant to hang from the bottom from a couple of silver leaves. I love how it turned out! About 1.5 inches long from the top of the bail to the bottom of the heart. 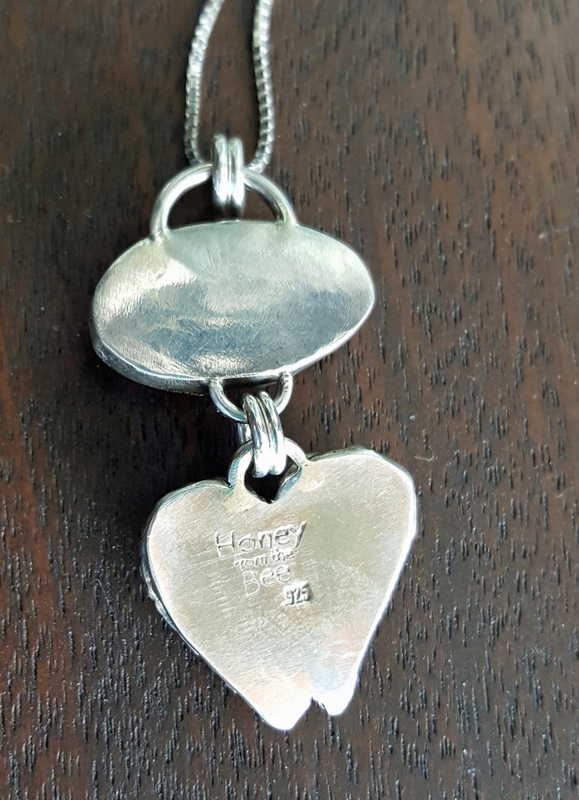 A sterling silver box chain that is adjustable to 22 inches is included.